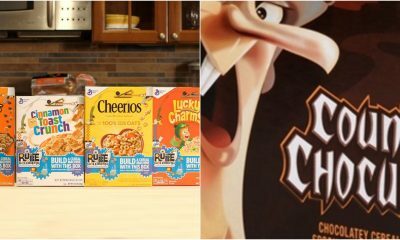 Yet another cool trend featured on YouTube lately has been the popular practice of creating cardboard box forts. More sturdy and versatile than blanket or sheet forts, box forts are not only a great way to use up excess cardboard boxes from moving or some other project, but to also have a great time creating an awesome fort with kids, friends, and family. 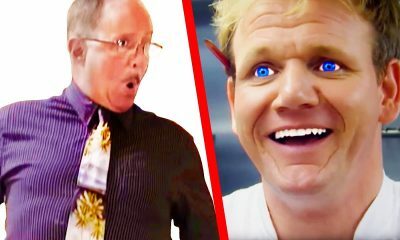 Though many videos on this list are for or involve children in some way, who says grown-ups have to “grow up” and not make fun forts anymore? 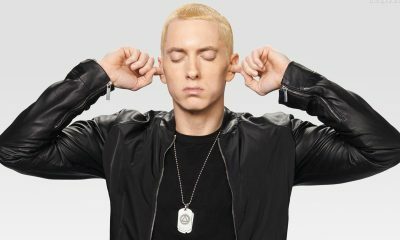 Adults can certainly have just as much fun building and hanging out in a super cozy fort, so this list is indeed not just for young kids! 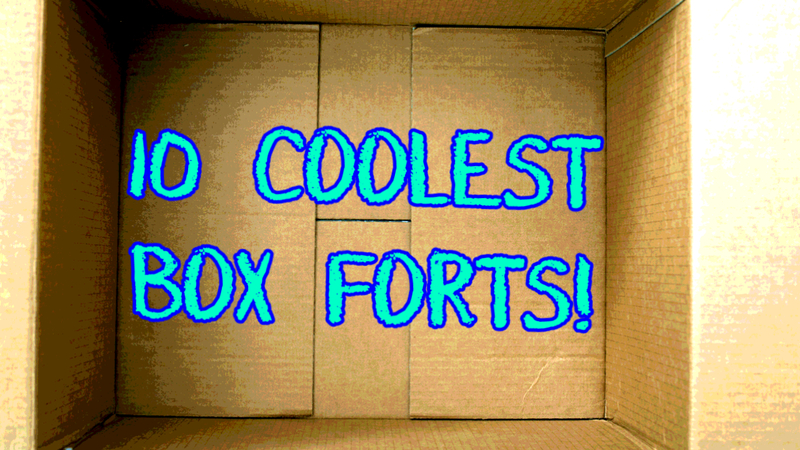 Here are 10 of the most unique and awesome box fort videos on YouTube for anyone, any age! 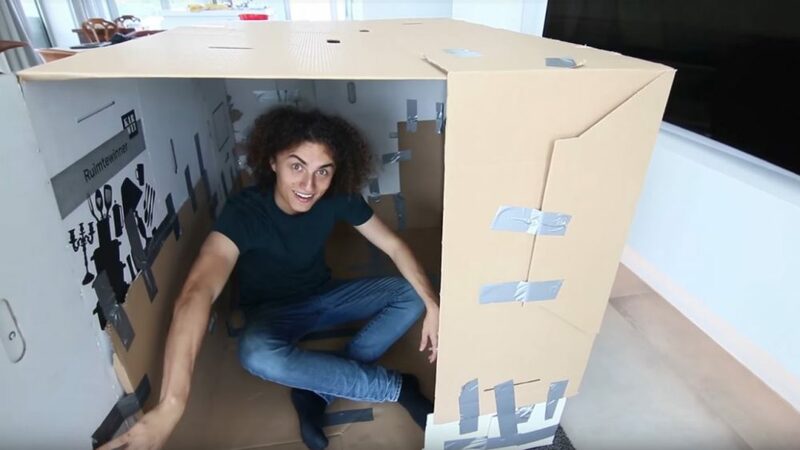 You’ll definitely feel really inspired by these creative “out-of-the-box” builders to grab some boxes, tape, and have fun constructing your own box fort. 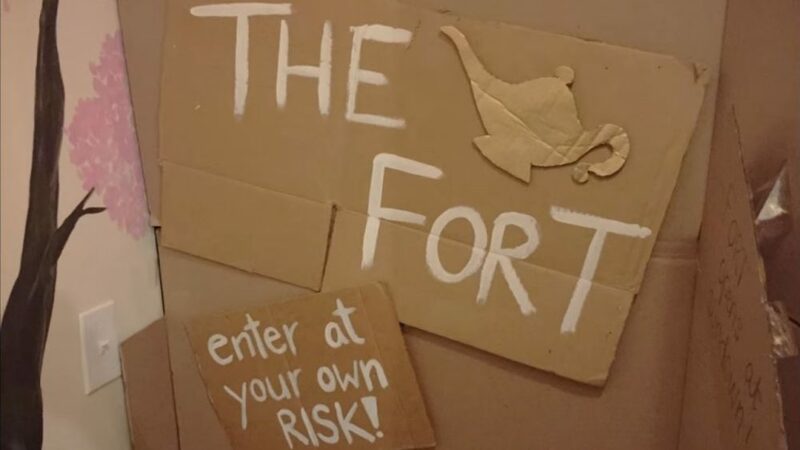 What is the most fun you can actually have in an old cardboard box fort anyway? You may ask. Well, how about building a truly functioning arcade into it? 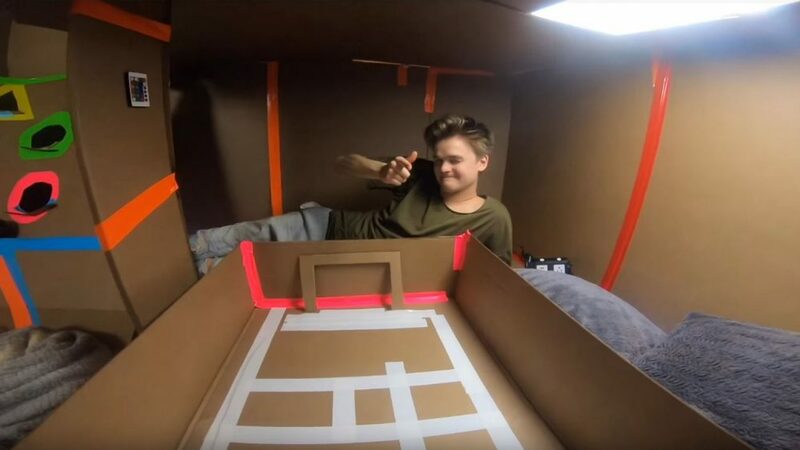 YouTuber Papa Jake includes colorful tape and bright lights in his designs of classic arcade games, such as skeeball, a simplified version of foosball, classic video games, and more–all with tickets coming out of a slot in the cardboard wall! The video takes us through construction, which is handy if you’re planning your own cardboard arcade but aren’t quite sure how to build some aspects or what to include. Jake and his friend Logan do try their hand at making a homemade air hockey table but show us that they tried and couldn’t make it work. 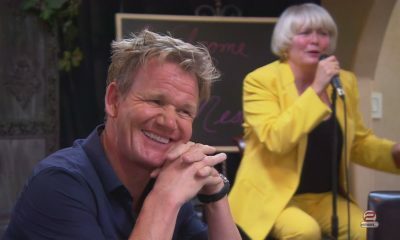 (So maybe that is something that you can try to improve on!) The video ends with a heated one-on-one competition between Jake and Logan as they play all the games and compete for arcade tickets. This would be a really fun theme idea for your box fort for a group of friends, a sleepover, or a birthday party, so they can try their hand at the various games. (It may be fun to even have a building party!) What other arcade games can you think of to include in a box fort? Now time for the Sharer sister to make her own, personalized box fort! And this time, she’s set on making not merely a box fort, but a box castle, fit for a princess. Luckily, Lizzy clearly and concisely explains exactly the box sizes and materials she’s using as well as the methods in assembling her design, so we can easily follow along at home. She adds really cool decorations to make the side towers look like a brick wall; adds pink accents on the center rooms, flags for her towers, and even a “Lizzy” banner to mark her territory. Arguably, the best feature she builds is a working drawbridge door that she demonstrates will keep her brothers out later in the video! Lizzy then takes us on a tour of her cute, four-room castle and plays in it for the rest of the video with her new Barbie toy car and adorable family puppies, Millie and Otter. 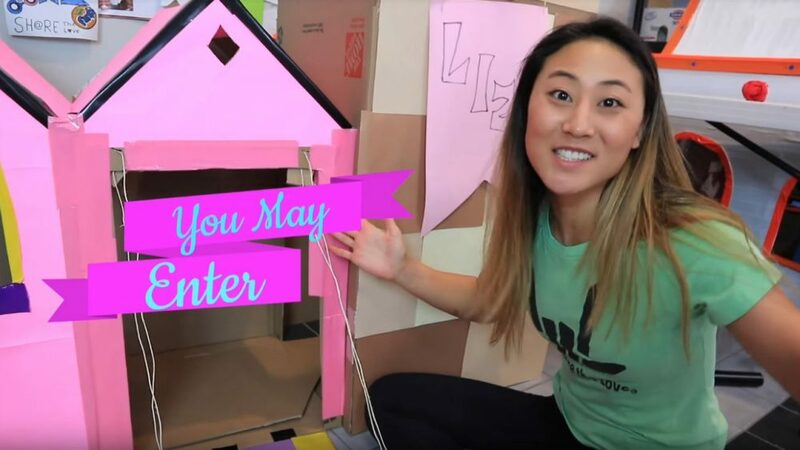 Her design is fairly simple and doesn’t take up a huge amount of space, yet she shows how easy it is to have fun in this pint-sized princess castle! So maybe you don’t have all the resources or enough space to build an epic box maze made to fit humans. Why not try making something on a smaller scale, as a special treat just for your pet? Friends Jack, Tanner, and Summer team up to tackle making the greatest cat fort to surprise Jack’s special kitty, Jenkins. They take us through their building process, plans, trials, and tribulations, all while keeping it secret and quiet as to not wake Jenkins, who is napping in another room. This fort is likely one of the most elaborate on the list, as the three fill the enormous cat fort with many areas for Jenkins to hide, sleep, and play in; toys, bridges, shelves, decorations, peepholes, doors, stairs, pennant flags, and a courtyard. 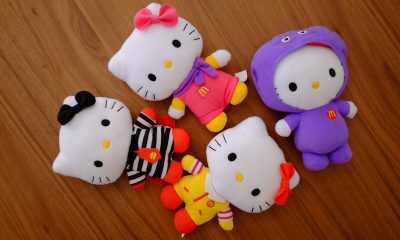 It does have some finicky parts and a lot of assembling, but it turns out to be a paradise from a cat’s point of view. 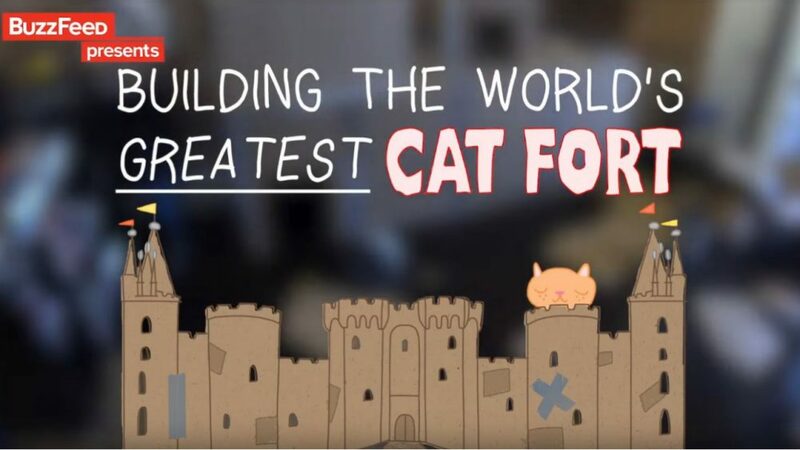 Once the team is ready to show Jenkins his surprise cat fortress with all the finery and accouterments–well, you’ll have to see how he reacts! Once you’ve had your fun building and playing in your box fort for a while, what to do next but a crazy, trending challenge of course? 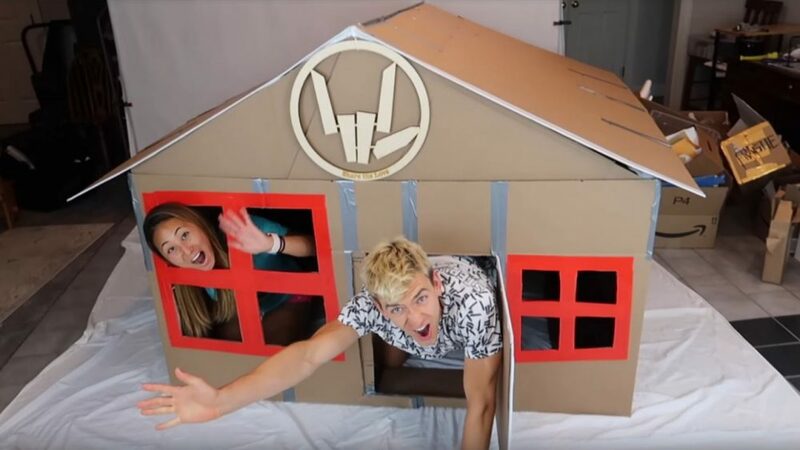 YouTube gamer Jordi and his YouTuber girlfriend Azzy bring us along on their humorous supplies run and building process in making a comfy fort (really just a giant box!) to spend the next “24 hours” in together! Once they return from the store, they come back home and start their plans for the fort. They cut, build, and tape, and once their magnificent little space is finished, they complete it with air conditioning (a fan) and spend time together playing, talking, eating snacks and candy, and generally doing weird and funny stuff. Stuff like making Azzy only eat yucky licorice candy while Jordi eats real food, making a thirsty Azzy drink from their “bathroom bucket” and telling her to wash it down with water they already had, and more. 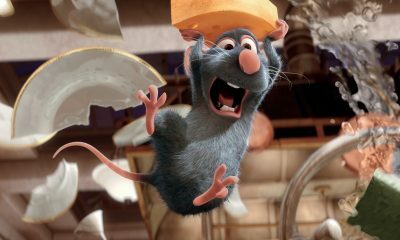 Jordi and Azzy give us just a small (and very funny) glimpse into what it could be like to live in a box fort together! This fort may not be the most expertly crafted on this list, but we wanted to include it to show that a fort made by kids, for kids, does not have to be perfectly neat, rigidly built, or have any tricky features or clever decorations. After all, it’s made for this family of young kids to PLAY! 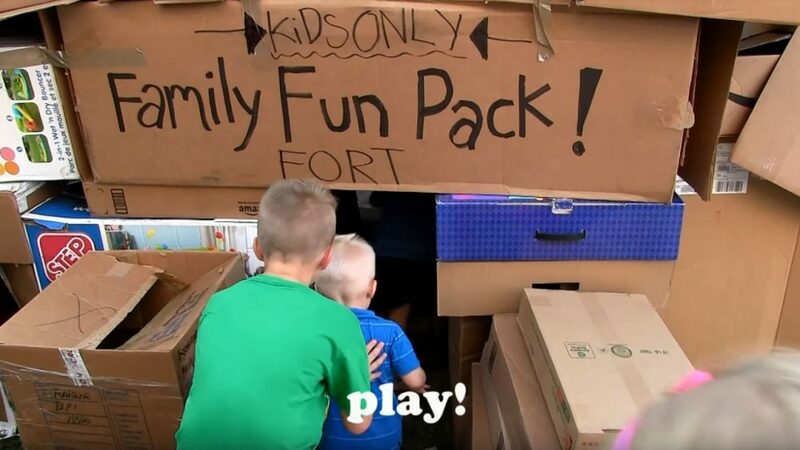 Join the members of the YouTube channel Family Fun Pack as the children collect and sort their supplies, stack and build towering walls and rooms, and enjoy an enormous box fort in their backyard to go wild and play hard in together. This fort is also very creatively made by using the entire box in the wall’s construction (rather than taking apart the boxes and using a single sheet of cardboard.) The huge structure also features roofs, windows, secret tunnels, and hiding spaces. Watch the kids, both big and very small, enjoy exploring this cool space made out of a collection of various old boxes. (And then, feel the satisfaction as they harmlessly knock the fort down to play with the boxes in other ways!) Who says you need to spend a lot of money on yard toy equipment? If you smiled watching cute kids having fun in the last video, you’ll lose it at all the cuteness happening in this video! But seriously, apart from the featured toddlers Adley and Parker touring, exploring, and playing in this box fort, the fort itself is majorly impressive. There are proper door handles on the entrance, several different halls, rooms, and play areas, (a ball pit, slides, a kid-sized bounce house, theater room, and more,) numerous fairy-lighted tunnels, maze-like paths, and incorporates stairs in the home to make it multi-level! 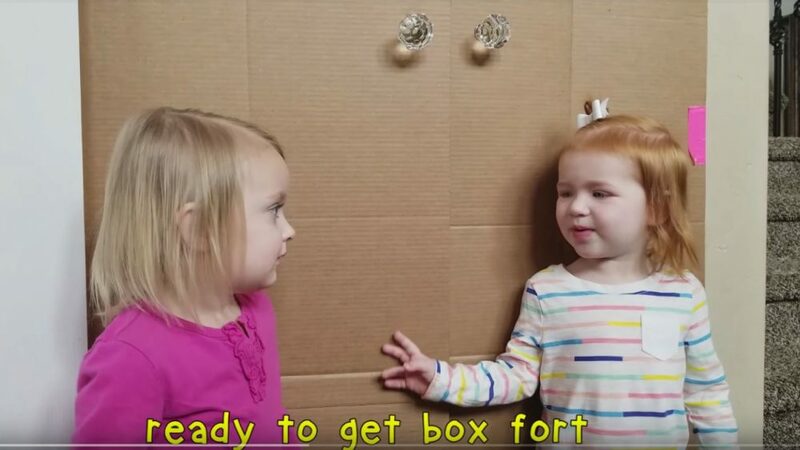 Subtitles accompany the toddler’s adorable comments as they tour throughout the amazingly built, very appropriately named, MASSIVE Box Fort Mansion! The family at the A for Adley – Learning and Fun channel use this amazing box fort in many several more videos, tours, games, and themes. Keep an eye out for all the ways they play, use, and have fun with this awesome box mansion! After the truly massive, multi-level mansion in our last video, relax and join dad Nate as he plans and designs an easy backyard box fort/slide play place for his adorable, toddler son, Calvin. Simple, sweet, and to the point, Nate is all about planning ahead while remaining flexible during construction to make changes to your ideas as you go in order to accommodate needs, such as there being enough support under the slide and fort area on top to hold Calvin. Nate successfully solves the problem of folding, not-sturdy-enough pillars, making sure Calvin can climb up box stairs to reach the fort, and making the structure safe for his son to play on. Nate adds flair to his fort design with colorful duct tape, cut-out windows, and arched doorways in the fort on top of the slide. His son happily and eagerly “tests” the fort–that is, plays on it and goes down the slide over and over again, making this little structure a huge success. This video is perfect to follow along to make your young child a fun structure without a ton of work and while using reclaimed materials! 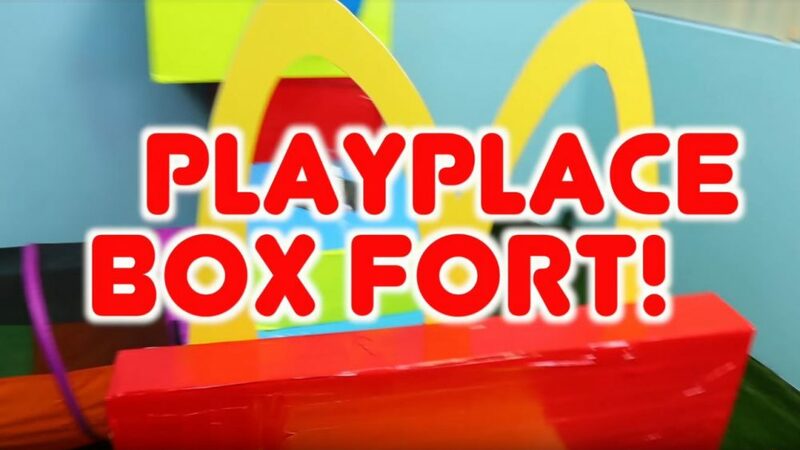 These ambitious builders create a box fort for a kid, like many others on this list, but have the added challenge of making it totally “McDonald’s Play Place” themed! Time-lapses and check-ins to report on the construction progress slowly reveal the clean lines of the fort. 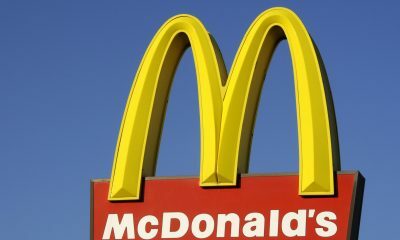 Bright, multi-color tunnels, plastic bowls repurposed as domes for peepholes, and a huge, handmade, bright yellow logo add to the awesome McDonald’s look of this well-made fort! One of the fort builders, Sandra, also surprises her two young children with their new fort at the end of the video, much to her son and daughter’s delight. Instead of the same old, boring brown of the cardboard box featured in almost all of the other videos, the colorful duct tape makes this fort look like a mini, professional McDonald’s Play Place! It’s the perfect theme idea for your box fort goals. The tape covering the surface and sturdy materials added makes it so this little play place will last.